When Jun buys Shinku a brooch, she refuses to accept it at all costs. Souseiseki then confronts Jun with the reason for Shinku's behavior. The tragic story of Suigintou is told, with the revelation of why her hatred for Shinku could last throughout centuries. 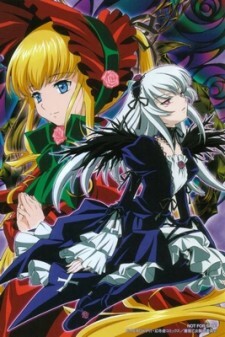 NOTE: this OVA has some spoilers of Rozen Maiden: Träumend, the second season of Rozen Maiden. These episodes fall chronologically between the 5th and 6th episodes of Rozen Maiden: Träumend, but might spoil later revelations.